I don't care how nice the shot was. You don't know what it is, and if it killed a skunk, it's a lot bigger than a rabbit. And unless you can get it out in the open in the light and positively ID it, you can't safely do anything. Just call animal control. I can kill a rabbit with a rock. That doesn't mean I can kill a weasle with one. You need think this through more clearly. I've never heard of a tame one though except as babies. Was it an adult? To be fair for all I know it could just be a cat. But I've never seen a attack and kill a skunk before. Then again it could have been a coyote. In the summer people saw a small pack of them not too far from where i live. (we have tons of patches of woods in our city). But I really don't know it was a coyote I would have heard or see or something. Or it could be someone's dog. Again, why you shouldn't go around shooting things. Hear a Fisher Cat Sound and Audio – Sounds it Makes | Fisher Cat Screech This is a simple call while hunting. There scream is very scary and makes the hair on the back of your neck stand. One can sound like a huge cat fight. We have them locally and get to hear them fighting and screaming at night. The first one I ever saw was while driving at night on a back road. At first I thought it was someones escaped ferret so stopped the car to see if it would come to me. When I got out of the car the fc turned while I was calling to it. It was about 20 feet or so from me. As soon as he turned and snarled I knew my mistake and jumped back in the car. They may be on the small side but it's one of the scariest animals I've come across short of a bear. If you have fox in the area it could also be that. 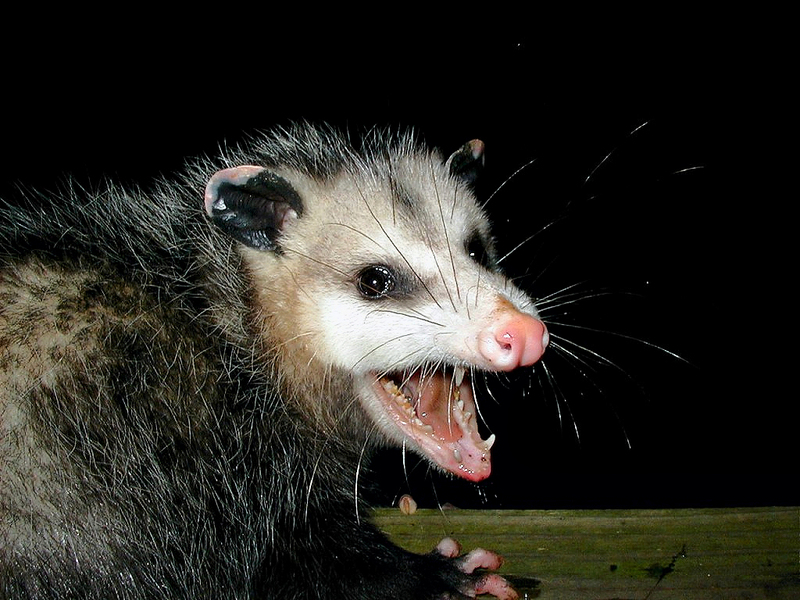 They have a high pitched scream also that can be scary and will also go after skunk. Last edited by Zoo Nanny; 12-09-12 at 04:40 AM.. If its killing skunks in the shadows at night, your definitely not going to kill it with a pellet gun. If you truly feel the need to take care of it yoursel, I would suggest trapping it first. Then you would be able to evaluate it in the daylight and decide whether you should humanely kill it (not with pellet gun), relocate it, or turn it over to animal control. They can be tamed easily if brought up with people. Many zoos have them as education animals. The really sad thing is their average life span is only about three years. Softest animal fur I have ever felt. Gun or bow doesnt seem like it would do you much good unless you are out there every time your dogs are, watching them like a hawk. This is especially true given the fact that the animal is only out at night. Getting a trap, so that the animal can be relocated, seems both the humane and more likely to succeed method. Yeah, but the guy won't even take the couple seconds to call someone to have them take care of it. No way in hell he's gonna go buy a catch and release trap and take it somewhere else. Its cheaper than the bow he was talking about and much more likely to succeed, so here's hoping he might!